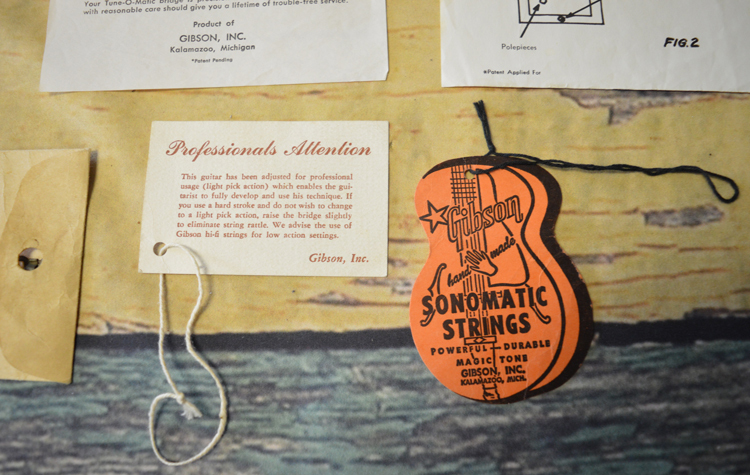 This is a full set of Gibson hang tags from 1959-1960 that would have come with a Les Paul, ES-335, Es-175, and many more Gibson instruments. These tags are in excellent, with only moderate folding on the large instruction sheets. The smaller tags have the original string still attached, and all of the pieces are clean and easily legible, with no rips or tears. This set would make the perfect case candy for your vintage Les Paul! Interested In This 1959-1960 Hang Tags? 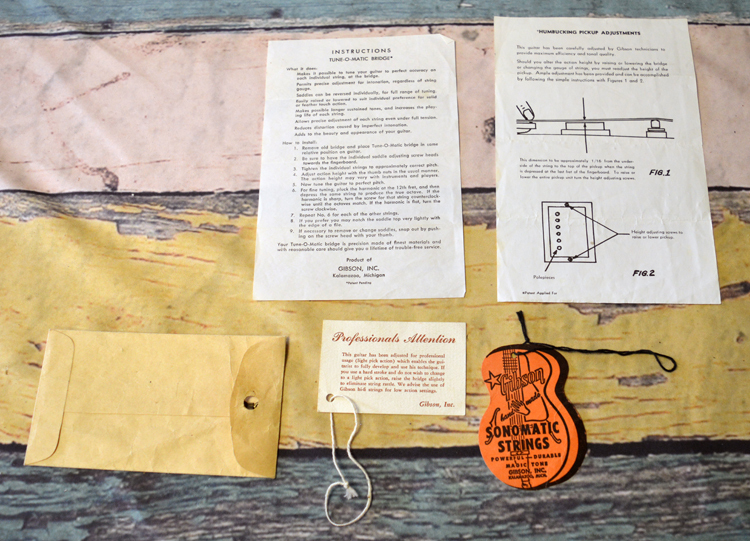 Did you purchase the 1959-1960 Hang Tags? Feel free to submit a review. Reviews will be posted pending submission review and approval.